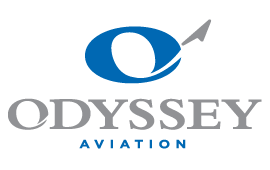 Odyssey Aviation Bahamas is an independent FBO brand in The Bahamas and a member of the Paragon Aviation Group, an elite class of FBOs focused on safety and excellent customer service. In a market where the specific services we offer do not define who we are, we believe our source of distinction comes from a commitment to the comfort and requirements of our clients – and we are proud to boast uncommon loyalty with our clients. While all of our services are delivered on the ground, their impact is on the quality and safety of the flight itself. Our Mission is to work for our partners involved in the private flight experience by providing their customer with consistent exceptional service, a safe environment, and friendly employees to best satisfy their every need. Odyssey Aviation is dedicated to providing all of our employees with the most relevant, up-to-date safety and security training available. In addition, we always feature heightened security measures, including security personnel, security gates, and cameras to ensure the safety of our customers. Both locations are proud to be NATA Safety 1st Trained and Certified.